Developing the payment market is a responsibility of Eesti Pank. 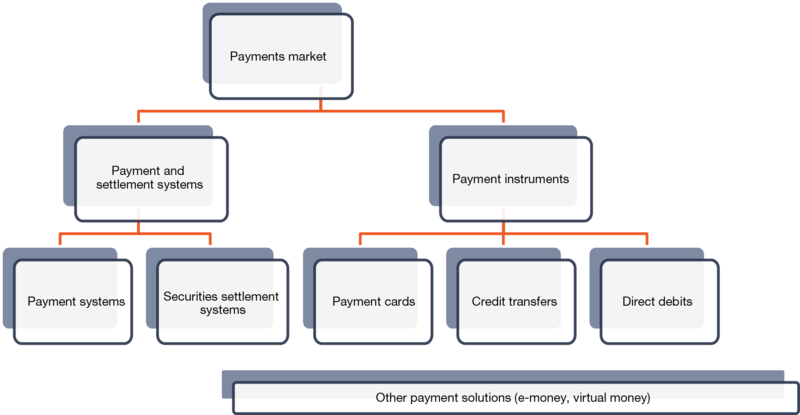 The payments market consists of payment and settlement systems and methods of payment. Monetary payments are made in the payment systems and securities transactions in the securities settlement systems, while methods of payment are ways that payments can be initiated.